This resin Personalized Brother Christmas Ornament is individually hand painted and measures, 2.5" x 5.0". 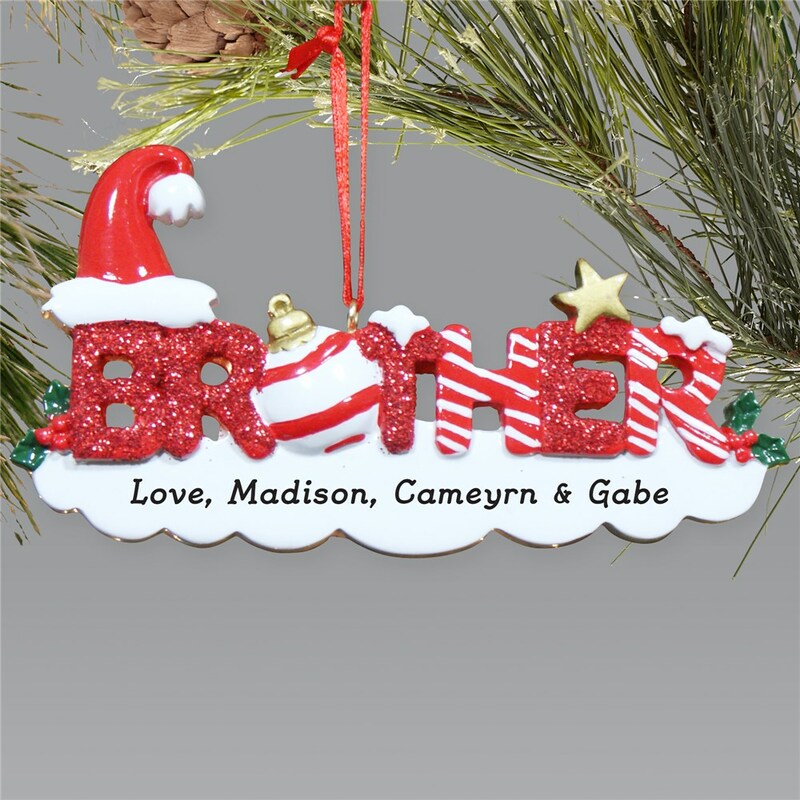 Each Personalized Brother Christmas Ornament includes ribbon loop and FREE Personalization. Personalized with one line of custom message. Additional Details Personalized Christmas Ornaments from GiftsForYouNow look great and are very affordable for giving the entire family. Present your Mom, Dad, Brother, Sister, Grandma & Grandpa with their own Personalized Ornament this year. A great stocking stuffer at a great price. And check out our other family themed Christmas tree ornaments!